Dezeen promotion: The buildings of London, Bristol and New York inspired the latest collection by Italian tile company Ceramica Rondine, designed to look like different types of brickwork. 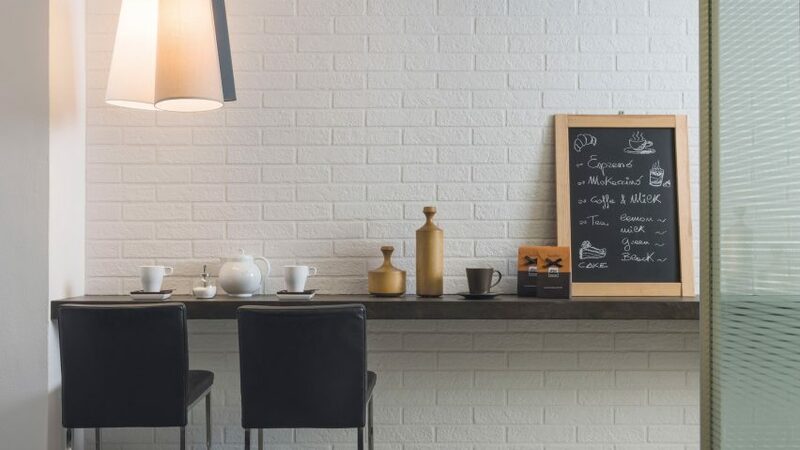 Ceramica Rondine's Brick Generation collection comprises three ranges of brick-effect porcelain stoneware. The first, named London, is intended to evoke the appearance of old-time England. It references London stock bricks – the handmade clay blocks fired in kilns during the 20th century – that were used to build most of the city. The collection is available in three sizes, and comes in a colour range of earthy tones, including beige, charcoal and brown. "With its authentic, shaded surfaces, London is the perfect tile to bring a brand new, urban, metropolitan touch to the floors and walls of the home," said the brand. A second British city, Bristol, informed the next range in the collection. The aim was to reflect its "cosmopolitan atmosphere" through the tones and shades of each tile. "This collection offers a concentrate of innovation," said the company. "It is not only a perfect reproduction of post-industrial-style bricks, but is also a versatile option, ideal for both floors and walls". The final collection, based on New York, is aimed at the new, younger generation of homeowners. Described by Rondine as a "vintage brick", the collection is the smallest tile from the company's new range. It comes in white, almond black and grey shades. According to Ceramica Rondine, it could be used to "recreate all the urban allure of the elegant facades of Brooklyn Heights or the Upper East Side". Alongside the city-inspired collections, Rondine has also unveiled a range of pale, dusty-hued tiles designed by Andrea Castrigano. Called Urban and Colours, it comes in shades of white and dark blue. To find out more about each of the collections, visit Rondine's website.